PROMMARKET LLC specializes in the manufacture of metal products (forgings, centrifugal casting of carbon steels, stainless, heat-resistant steels, cast iron and bronze), also operates the production of spare parts for drilling equipment. PROMMARKET LLC is an official distributor of the German company Optibelt, a leader in the manufacture of drive belts. Centrifugally cast tubes of heat-resistant steels and alloys for ammonia production units, hydrogen, ethylene, carbon disulfide, etc. Radiant tubes, drums of rotating furnaces, large castings, muffles, Endogenerators retorts, cementation furnace, blast furnace (C-105, C-90, C -75, C-75B, C -60, SSHTSM, SNTSA, LNM, Ayhelin, Birlek, Ulvak, Holcroft, etc. 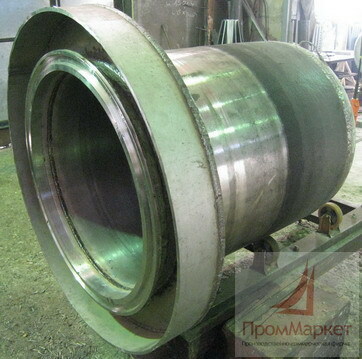 Forgings, shaped, centrifugal casting, spare parts for mud pumps (liners, pistons), and other metal products according to your drawings.